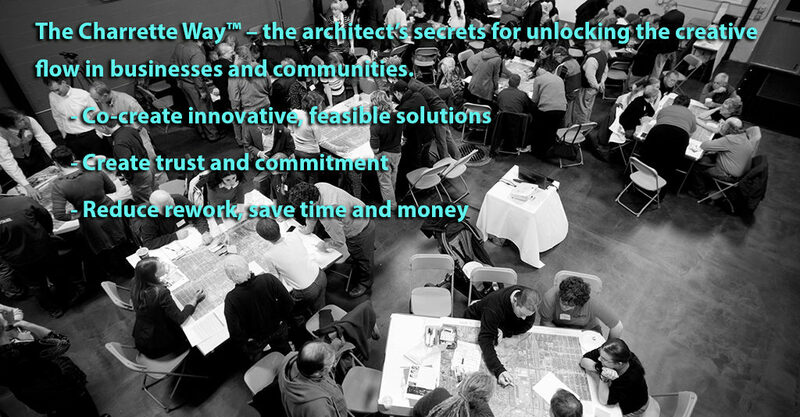 CDI provides advisory and facilitation services using the methods of The Charrette Way, the architect’s secret for co-creating policy, strategic planning and design projects for your business, organization or community. Embed people in the co-design process to create innovative feasible solutions and transform culture. Accelerate projects through innovative design to implementation with energetic team and stakeholder commitment. Create a generalist approach, break down specialty silos and build trust through collaboration by design.